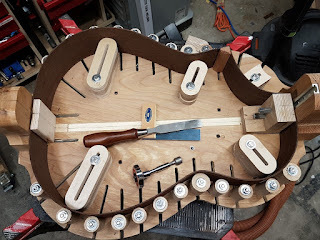 I've made a bit of headway on the Crossover Guitar.. The back is jointed and glued and the sides are bent and glued to the blocks with the cutaway done. 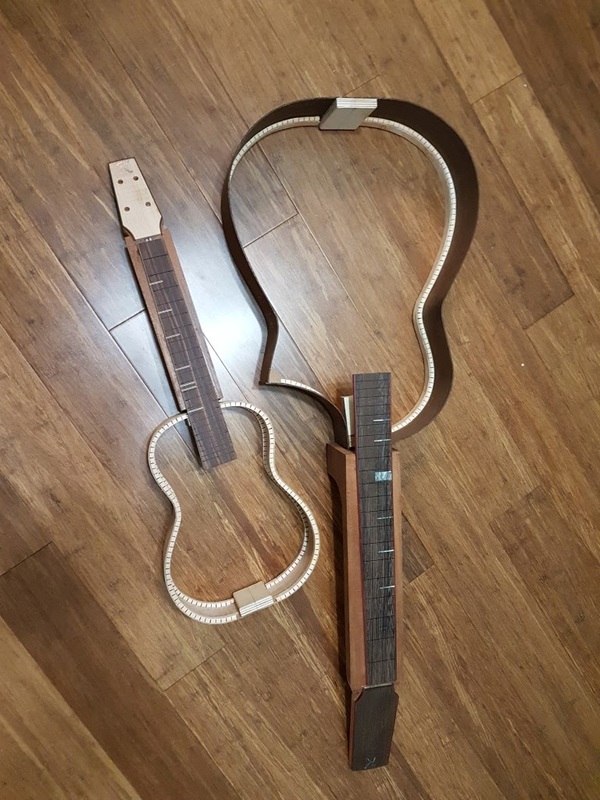 I also wanted to make my own bindings so I could try a bit of a different design. Essentially a regular binding with a shallow rabbet cut in the front face to accept a piece of veneer. 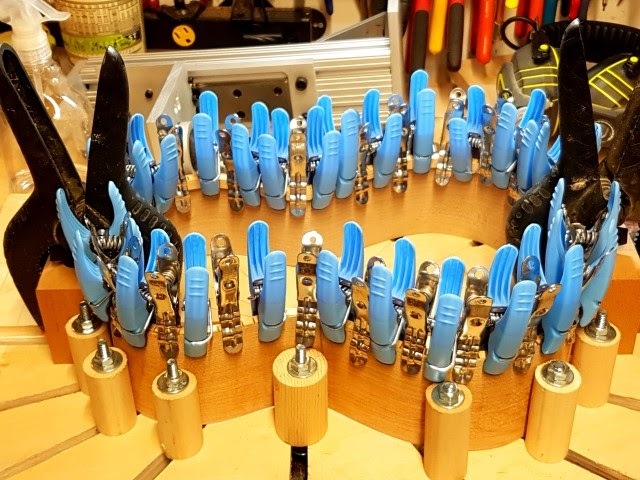 This should make a nice stiff binding and give the option of using various veneers for aesthetics.. TO that end I made a jig awhile ago to aid int cutting the kerfings in the bindings. It worked pretty well. 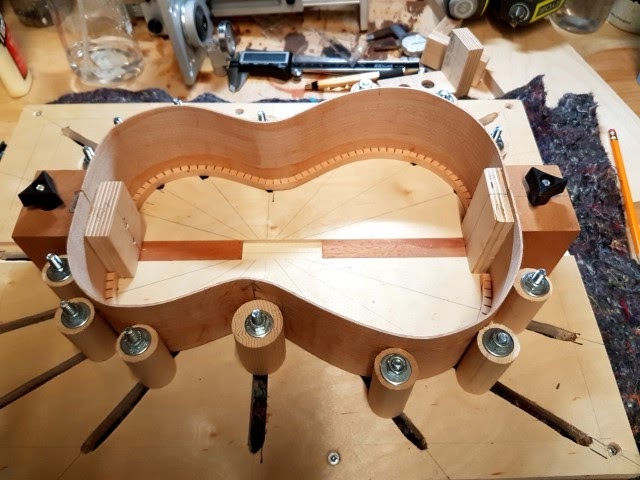 the jig is based on one from the Australian and New Zealand Luthiers Forum..
Well after a great summer and a even better vacation in Nepal it's time to get back to building instruments. The parts of the Tenor Ukulele and Crossover Guitar are sitting around waiting to be completed so.. 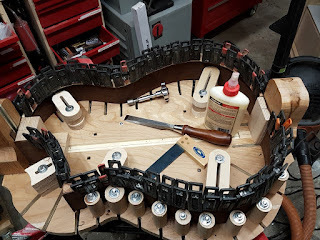 I've thicknessed the sides of the Crossover and hopefully will get them bent in the next day or two. I've also go the linings on the Tenor Ukulele. In addition I've been thinking a lot about the next project and picked up some amazing wood for that, but can't start that until these two are done..